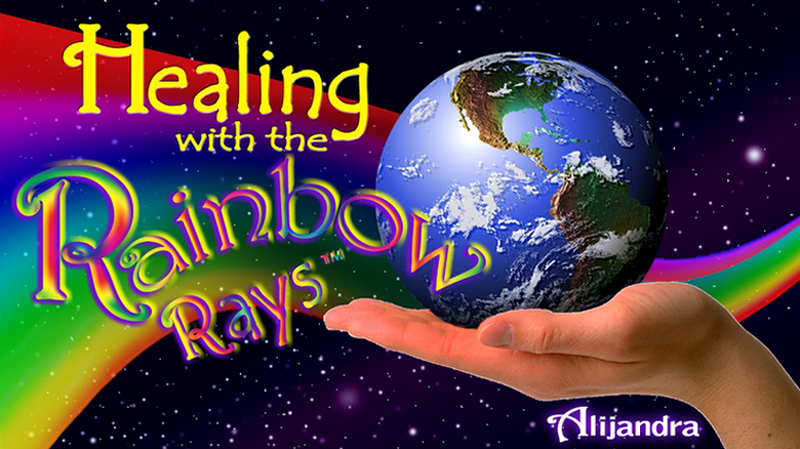 Healing with the Rainbow Rays: Why Protection? I find that writing about the act of protection now feels paradoxical to me; it used to be so cut-and-dried. But I am not about to throw the "baby out with the bathwater". Protection may need to be fleshed out a bit, but it is still valid on this plane. First of all, let's define the term. Protection means to "shield from injury". This is what we have always literally done--used a psychic shield for our protection. Those shields varied from chrome balls, white light, lead shields and the best of all--the Teflon™ shield. (A shield of three layers of light: white on the outside, clear just on the inside, and black on the very inner layer. All those rays surround the auric field.) Another great one is the golden dome from Source. Although the issue of protection has always seemed to have been an issue, in recent times it has become more a "front-burner" challenge. 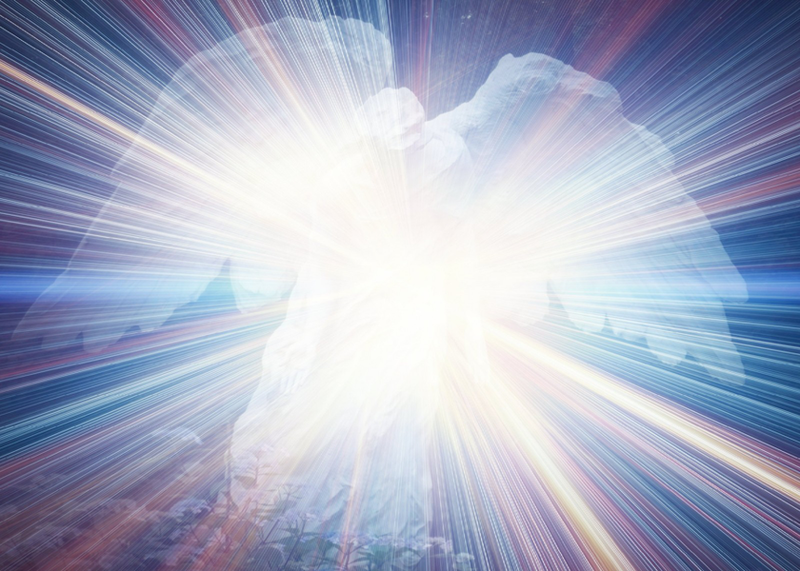 As we struggle with balancing on our home shores the need to protect our citizens from outside threats against us without losing our precious freedoms, we still have our own personal issues of psychic protection to contend with. Protection is for the physically incarnated you. On most other levels it is not necessary. But on physical plane earth it still matters. Having worked with many healers in my classes and private sessions over the years, I have seen many of them get hit by sometimes quite lethal energies. Some initially had no clue how to insulate themselves from subtle to direct attacks from others. When they studied with me, they began to see how protection made sense. It's kind of a defensive position to a launched offensive. It also helped them with screening the energies to those most compatible with their personal resonance. I once spent a few years working with people of a specific spiritual group, helping them with their individual issues of personal healing, as well as to withstand the concentrated effect of negative prayer from a rival and larger religious group who saw them as competition and sought to put them "out of business". This was the underlying reason. The outer reason was that they felt they were serving their spiritual guru and keeping his teachings pure. So, it was (and still is) a righteous war and their God-given mission to render the other group monetarily bankrupt through the courts and energetically bankrupt at its core level. The smaller "David" didn't want war with "Goliath", but that was not his choice. The Teflon™ shield worked wonders for this group to shield from the on-going battering they were subjected to on a nearly daily basis. That kind of attack does sooner or later take its toll on the recipient. For those with weaker organs, it can be deadly. With the Teflon™ shield up, at least those who wore it were kept from the slings and arrows shot out from the well-meaning but spiritually ignorant giant. It is my pleasure to say today "David" is still thriving and growing, having weathered out the tapering storm. What are some of the ways you can keep a protection energy around you? ~ Set your personal boundaries by setting limits. What are you willing to give or do, and what are you not? Get clear and be able to say "no" to what doesn't serve your highest good. Or simply, what you are unable to do due to the restraints of time, space and energy. ~ Rid yourself of "psychic hooks" placed by yourself, another or mutually. These are dark cords where energy from you will run out 24/7. 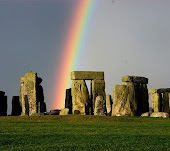 (For the technique on cutting psychic hooks, see my book Healing with the Rainbow Rays.) Other non-resonant energies can piggy-back onto the hooks as a way into the body. ~ Cork up your leaky energy (those strands of your energies that run like a sieve from your chakra system or elsewhere to others' energy fields) A good place to start with this is to get meditative and actually "look" at yourself to see where you leak energy and to whom. Pull the energy back towards you and clean it up with color rays or flames outside your electromagnetic field before you incorporate it back into you. As with psychic hooks, other energies can push their way into you through the leaks. ~ Keep up your protection several times a day, particularly in suspect places such as hospitals, malls, offices, parties, nightclubs/bars, etc. ~ Love more unconditionally. It gives you a natural protection. 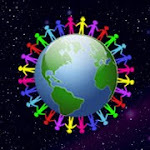 From a Oneness viewpoint, there is no need for protection. We are all One and separation is an illusion. Our perceived boundaries are simply that--perceived; in the Oneness paradigm they don't exist. 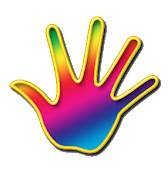 There are techniques of healing that we do in the upper levels of color healing that know no boundaries. We work with a team we can trust and we know how to respect and honor ourselves to allow for a short time to enter into areas where protection is usually necessary. We have learned how to monitor ourselves, and how to honor ourselves. The paradox is this--You can't throw away your protective boundaries until you know how to have them to begin with. "When we are faced with a person or group of people wishing us harm we can view this as an opportunity to develop patience and tolerance. We need these qualities; they are useful to us. And the only occasion we have to develop them is when we are challenged by an enemy. So, from this point of view, our enemy is our Guru, our teacher. Irrespective of their motivation, from our point of view they are very beneficial, a blessing". This turns the whole thing around, doesn't it? Perhaps if the need to protect arises often enough for us, it shows us areas we can still work on, still refine. This is an excellent protection technique to add to your repertoire. It will give you a multidimensional feel to the act of protection. It is also a chance to use the individual flames in seeking protection. ~ Place a grounding cord from your tailbone into the earth and anchor it firmly. ~ Be aware of your aura boundaries and whether they are situated at a workable and reasonable distance from the edge of your physical body. ~ Chakra balance each chakra from base to black selecting whichever number you wish. Know that if you pick 13 you are linking to Source. Other numbers connect you to other dimensions, or frequencies. ~ Begin to link to all the planets in this solar system. (Use the chart in Healing with the Rainbow Rays on page 245 as a guide for which chakras are linked to each planetary body). Starting with the base, make the braid you create the ruby red flame, and send it the sun, anchoring it firmly either to the middle or around the perimeter. ~ After you are completely linked, send a combined braid from them to a parallel universe. To do this you send each flame out beyond the planetary body to a single point, joining all 13 together. ~ When they are joined into one, make your intent that of connecting to a high energy parallel universe. To get there you may take a wormhole, follow the cosmic ley lines, find a dimensional portal, or simply state to Source what it is you are looking for. The connection will then be made. ~ When that is complete, tie that braid from the parallel universe to Source, which is Infinite Consciousness, Infinite Love, Infinite Light. “Evil”, or incorrect choices/ideas/energies/fear-based emotions, don’t exist there. Thus, it has no power. If it had hooked into you, it must release. ~ Keep this protection in place as long as you feel comfortable. It will eventually dissipate, regardless.